"Enjoy life by listening to live music." The countdown is on for the fourth annual Pilgrimage Music & Cultural Festival that will be Saturday, September 22 and Sunday, September 23, 2018 at The Park at Harlinsdale Farm in Franklin, TN. Music lovers will #MakeThePilgrimage to The Park at Harlinsdale for two unforgettable days of music, art, and culture set against the natural amphitheaters with memorable performances across six stages. We had the opportunity to chat with Keith Frazier from New Orleans’ own Grammy-Award winning Rebirth Brass Band about their upcoming performance Sunday, September 23! Thank you so much for chatting with us. How has this year been for you? What were your highlights? Our year has been very busy.We traveled to Russian in August as well as London. Prior to that we have traveled extensively throughout the U.S and Canada. 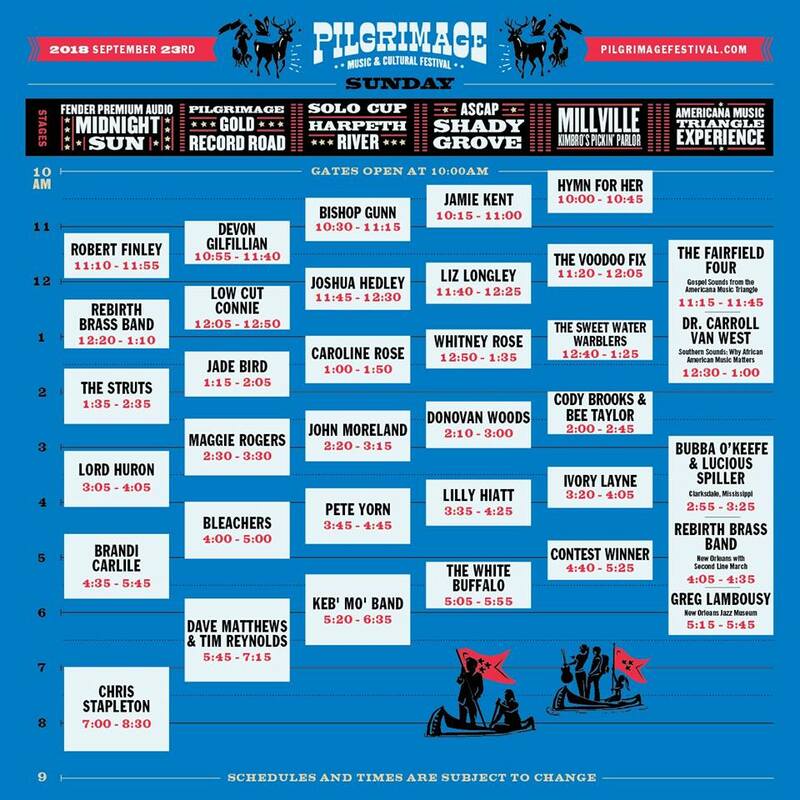 What are you looking forward to most playing the Pilgrimage Festival Sunday? We are looking forward to playing for the kids at the Pilgrimage Festival as well as the adults. We are always excited to capture the next generation of Re-Birth fans. We are really excited to watch the reaction fans have to the song,”Do Watcha Wanna.” It is probably the one song we’re most excited about performing. Do you plan on catching any shows while here at the festival? If we have time to catch a few shows, we will. What impact would you like for your music to make on this chaotic world of ours? We hope our music can bring people together from all walks of life. What does The Roots of Music non-profit organization have going on currently? The Roots of Music is currently working on songs to record on an album. We have a thousand stories about the affect our music has on fans. I will just say we have had fans to strip while performing. When you come to the Nashville area, is there anywhere you love to visit or eat? As for food, we eat what is available late night. Most most of our gigs are at night so we try to find something. Is there any talk of collaborating with NOLA Brewing Company again? No talk of collaborating with NOLA Brewing. Enjoy life by listening to live music. Experience why Rolling Stone called Pilgrimage “a festival to watch” and “one of the South’s premier festivals” by The Tennessean with a 2-Day Pilgrimage pass ($185) OR2-Day VIP Village pass ($975) as well as on-site parking passes for $60 while limited supplies last. The VIP Village is presented in partnership with Strategic Hospitality of Nashville. Want to bring the kids? No problem! Pilgrimage has something for everyone and children 10 and under get in FREE when accompanied by an adult PilgrimagePass. To purchase your passes, please visit www.pilgrimagefestival.com/tickets.